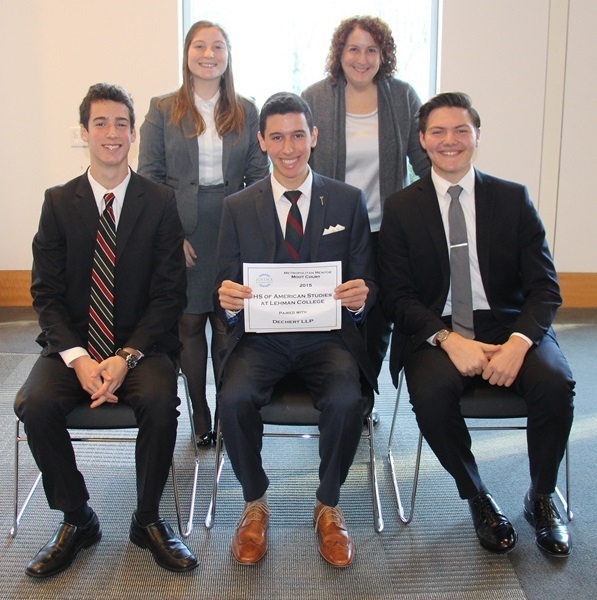 Tuesday, December 15, 2015 – Congratulations to Forest Hills High School and James Madison High School for earning the top two spots in the We The People NYC competition! Over 120 students competed at MLK High School, hosted by the Justice Resource Center. Classes of students from Forest Hills High School, James Madison High School, Harry S. Truman High School, Midwood High School, and Queens Vocational and Technical High School presented arguments about the Constitution’s relevance and answered judges’ questions during rounds of mock Congressional hearings.